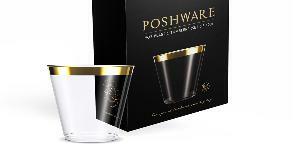 Prize: 100 gold rimmed disposable cups that you can drink, toss and recycle - worry free :) 5 winners. Statistics: This contest was opened by 126 and entered by 5 ContestChest.com members. 4% of those who opened the contest, entered it.